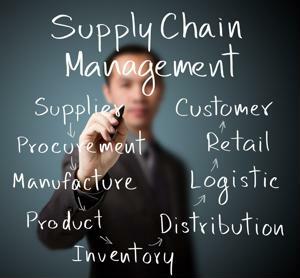 Executives who specialize in procurement and supply chain management have likely already begun looking ahead to the challenges they'll face in 2014. Although the considerations that come into play when developing a sourcing strategy for the coming year are many, three trends stand out from the rest. As supplier networks become more complex, companies may begin to seek out more sophisticated freight sourcing and transportation methods. In a column for Supply Chain Digital, DHL Supply Chain's Vice President of Innovation and Product Incubation Mark Patterson predicted that 2014 would see a rise in demand for creative solutions that add real value to businesses. "Innovation is already at the heart of supply chain risk management, which has grown in importance during the past 12 months," Patterson wrote. He also noted that innovative solutions for dealing with natural disasters are likely to become more essential as climate change continues. Another result of supply chain complexity is increased expenditure. As such, procurement cost reduction has become an area of considerable focus. Patterson noted that the most universal trend in distribution management he has seen this year is the concern for cost-efficiency. Prioritizing spend reduction may prove essential to developing a sourcing network that can keep pace with the competition. The increasing emphasis on sustainable product sourcing is likely to become even stronger next year. In a post for EBN, science and technology writer Susan Fourtané discussed the challenges facing companies that have developed keen consciences. "The concept of corporate social responsibility has hit the supply chain management with increasing intensity. Now OEMs have to navigate the complexity of getting the supply chain on board," Fourtané wrote. Executives that want their operations to stay ahead of the trends should find new, more streamlined ways to implement green logistics in the new year.